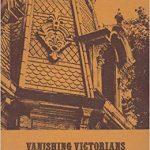 The publication of Vanishing Victorians was the result of many months of hard work by branch members, led by the book’s editor Paula Boghosian. The purpose was to focus community attention on the rapid disappearance of the older downtown homes. For example, between June and October 1973, 30 were demolished. Branch representative Carolyn Martin argued for a moratorium on demolition before the City Council when she said, “Victorian homes are worth saving for the boldness and vitality of the architecture, their historic significance and because of the character they lend to the downtown.” At the urging of AAUW and other groups, the City Council appointed a committee to prepare a preservation plan. This committee, which included Mrs. Boghosian and was chaired by Mrs. Martin, submitted a report in six months. Acceptance of the report and the implementing ordinance reversed the city’s direction from demolition to preservation. A full-time Preservation Director and appointed Preservation Board has had such a terrific impact that we can now point with pride to the increasing number of restored Victorians. National recognition came to the Branch when the American Association for State and Local History awarded us a “Certificate of Commendation” in 1975. It was presented at a gala party that also marked the opening of San Diego Federal Savings and Loan Association’s office the restored Heilbron House at 704 O Street. 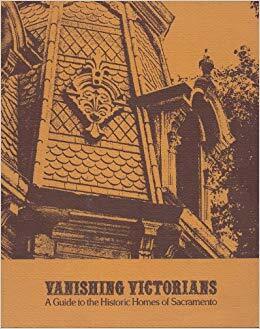 Mementos for guests were copies of Vanishing Victorians. Another edition was printed in 1977, this time in hardback. A later spinoff was the Victorian notepaper. Profits totaling approximately $6,000 from the sale of the book and notepaper have provided scholarships for women returning to college. Last December the Branch authorized a revised edition. This paperback will cost $8.95 and be sold at local bookstores and branch meetings, according to Book Distribution Chair Judy Burns. This entry was posted in AAUW Sacramento 100th Anniversary, Newsletter on April 4, 2019 by angelascarlett.